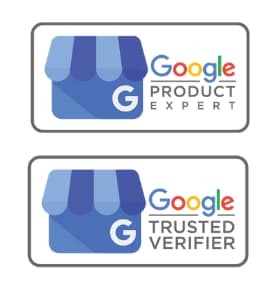 This is another reminder that local businesses must check their Business Pages for Google Image Spam. 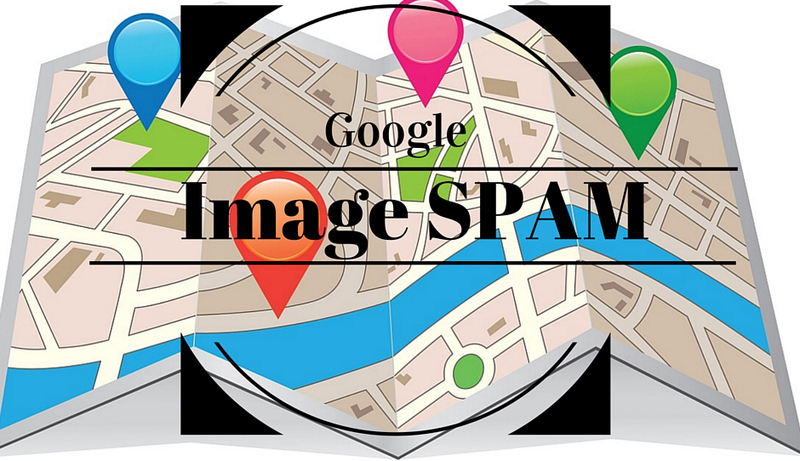 If local business do not check their images for spam, then you risk the impact to your businesses branding or worse, losing customers to the spam. 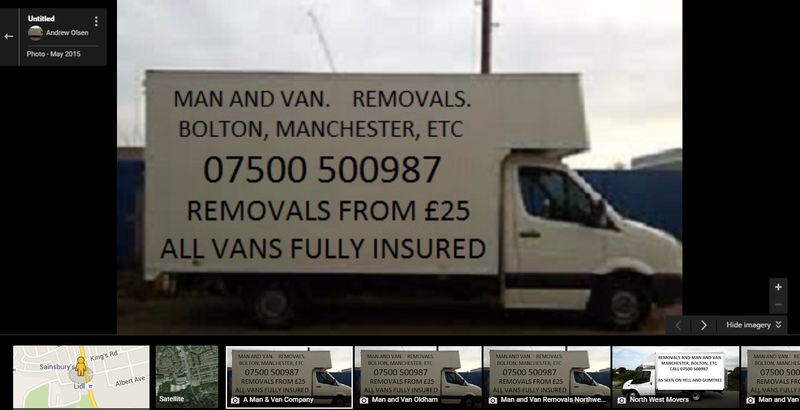 This recent case is in the Removal sector, where a Man and Van in Manchester has spammed 71 local removal companies across Manchester and Lancashire. 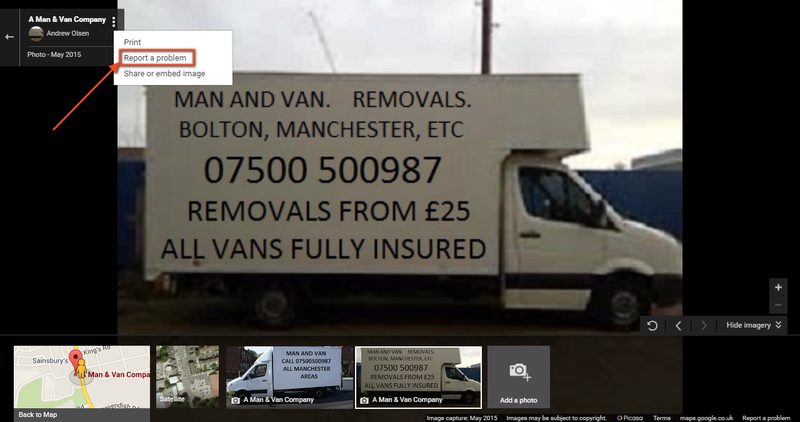 The images of his Man and Van is added to Local Business pages via the Google Maps app or simple uploaded to the page via “Upload to Public” section on the business page. 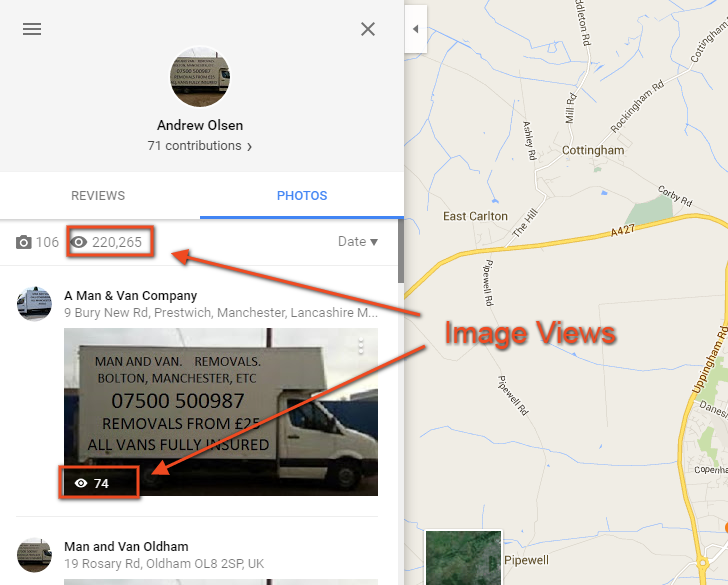 The image then appears within Images for the business and also in Map images for the business. How Effective is this Spam? I can’t specifically say how effective this type of Spam would be, the image is pretty crude. What I can say, is this Spammers images are getting viewed, 220,265 to be precise. If 1% of users decided to use this Man and Van, that is lost revenue for the legitimate business owner. Top left menu and report image. 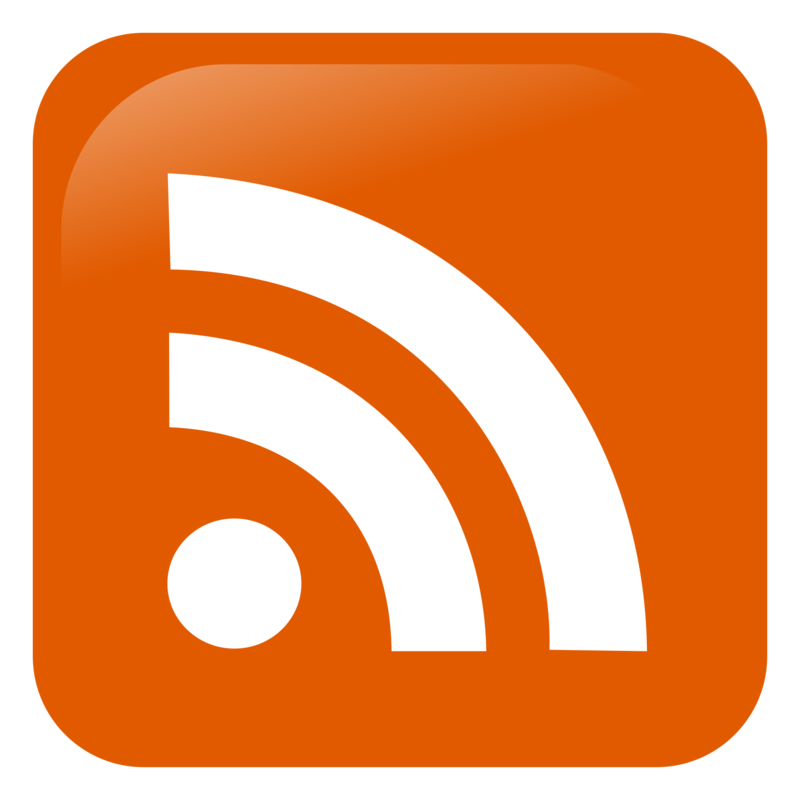 You can also report it in the Google My Business forum ( Spam Section) and we will report image, and in the case of the user above report the entire profile to the spam team. Pingback: Is Google really keeping fake listings off Google Maps?